If a friend referred you, please indicate their name. If competing in Figure, Men's Physique or Bikini, what song do you want to walk to? Please provide the youtube link where we know the song and artist to use. We will try to accommodate your request with our DJ as best as we can. This is your crossover fee division to enter the NWANC. 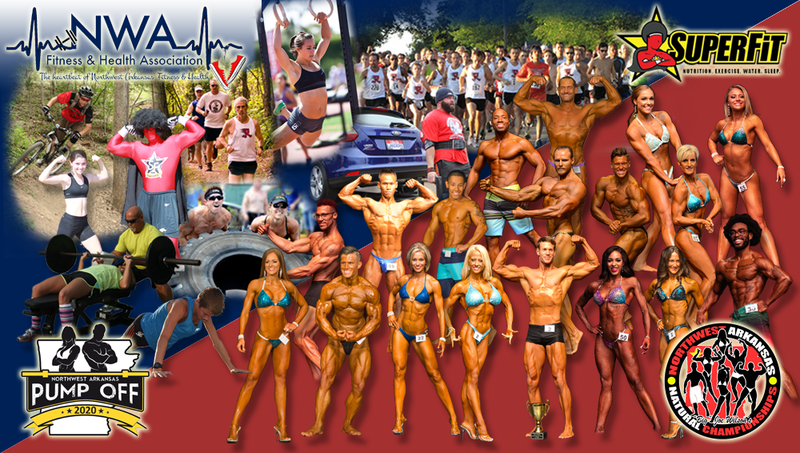 No crossovers of Figure to Bikini or of Mens Bodybuilding to Mens Physique (is allowed for female BB to Physique to Figure and Men's BB to Classic Physique or Men's Physique to Classic Physique). This pass allows the trainer/help to go back stage. Trainer/help must still purchase a regular ticket as well. These shirts are incredibly comfortable. Prices at show are $25... get an extra one now for $5 off . In message to promoter below, include sizes for what you want. If you want your child or a friend's child (ages 12 or under) to enter our division on stage for free, put their name here and we'll have them pose for the sword trophies and princess crowns. Boys will flex off on stage with other boys. Girls will do a sassy walk with a pose with other girls. For introduction: age, favorite exercise, favorite healthy food, favorite junk food, what they want to be when they grow up. If you have any concerns or information the promoter needs to know.